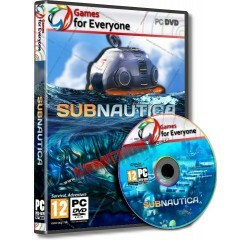 Subnautica - R140,00 : Game Hunt, Where we lead, others follow. Dive Into a Vast Underwater World - You have crash-landed on alien ocean world, and the only way to go is down. Subnautica's oceans range from sun drenched shallow coral reefs to treacherous deep-sea trenches, lava fields, and bio-luminescent underwater rivers. Manage your oxygen supply as you explore kelp forests, plateaus, reefs, and winding cave systems. The water teems with life: Some of it helpful, much of it harmful. Open Development - Get weekly or daily updates, see what the development team is working on, view real time change logs, and give feedback from inside the game. Subnautica Early Access development is open, and the development team wants to hear from you. Processor - Intel Haswell 2 cores / 4 threads @ 2.5Ghz or equivalent® or equivalent AMD® processor.